A trip to Lugano reminds one of what Italy is missing, and what would make it better — courteous drivers, spotlessly clean streets, apartments and offices free of the suspicious layers of security ones finds in Italy. But in contrast, a trip to the Cenacolo, aside from being a moving experience in itself that should inspire all kinds of questions about permanence and meaning, also reminds one that Italians, diabolical intentions aside, are wonderful at creating a sense of mystery. You show your ticket, and then everyone is hurried down a short hallway where the temperature drops noticeable. Then everyone crams into an airlock-like chamber, huddled in front of the door to the refractory of Santa Maria delle Grazie. The attendents let the tension build. The chatter dies down to silence. Looking at our reflections in the one-way glass, I counted thirteen of us. One can see, at the bottom, a few feet marching somewhere. Then, the curtain — in the form of noiseless, remotely-controlled doors, pulls back, revealing — darkness. Empty space. On a sunny August morning, it takes some time for the eyes to adjust. You look left, but that’s not the right mural, then right, and there it is. The moths are drawn to the flame, and it’s well worth it. Italian Switzerland is well-worth one’s time, but the Italian arts of surprise and showing off have their moments to shine as well. 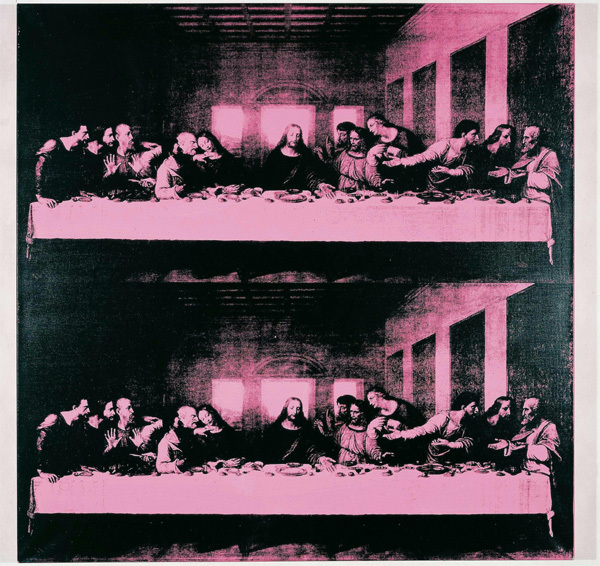 This entry was posted in art, italy and tagged art, cenacolo vinciano, last supper, leonardo, lugano, Milan, santa marie delle grazie. Bookmark the permalink. You buy a cuckoo clock in Lugano? Ah, the great Orson Welles. You’re the second person to quote this to me in the last 16 or so hours, but the first in print. It’s a good one; I love the Third Man. I did not buy a cuckoo clock, but I did spend some time talking to a nice German-speaking woman who was pretty down on the “Italian way of doing things” which apparently applied to Canton Ticino. (Black marks to unclear maps and street markings.) She did mention that in Lugano there are two classes of people: “the very rich and the very poor.” I don’t know Switzerland’s Gini Coefficient compared to Italy’s or the German-speaking-world but it did make me think. I wonder what she would think of the US. I found a book of cartoons at an open-air reading event (free lounges and books free for the taking as long as you return them) at Villa Ciani from a seemingly Italian point-of-view, spoofing the Luganesi as overly obsessed with stoplights and cleanliness. Also, every time a German spoke, the Fraktur font was used, making them seem Nazi-ish or at least Gothic. You didn’t have to present any ID or sign anything to get the books or lounges, and that had me thinking too. I guess it all depends on the kind of society you want to create/foster. Anyway, thanks for the comment and for reminding me of a great film.